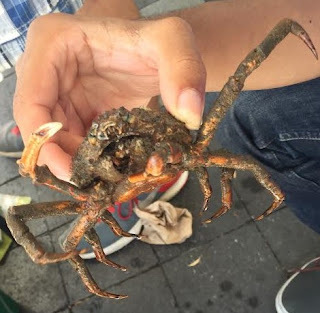 One would think that a spider crab is the most vicious crab compared to a green crab but actually spider crabs are way more docile compared to any other crab. Spider crabs are usually found in the muck at the bottom of the ocean lying under all the dirt, which is why you would find the water so dirty once you've placed it in the touch tank. Well recently we've been catching spider crabs in our crab trap and it has become a daily thing. An interesting fact about these crabs is that they are able to walk forward and sideways, compared to a green crab which can only walk sideways. Spider crabs creep me out but they are very interesting because they look like they are aggressive. 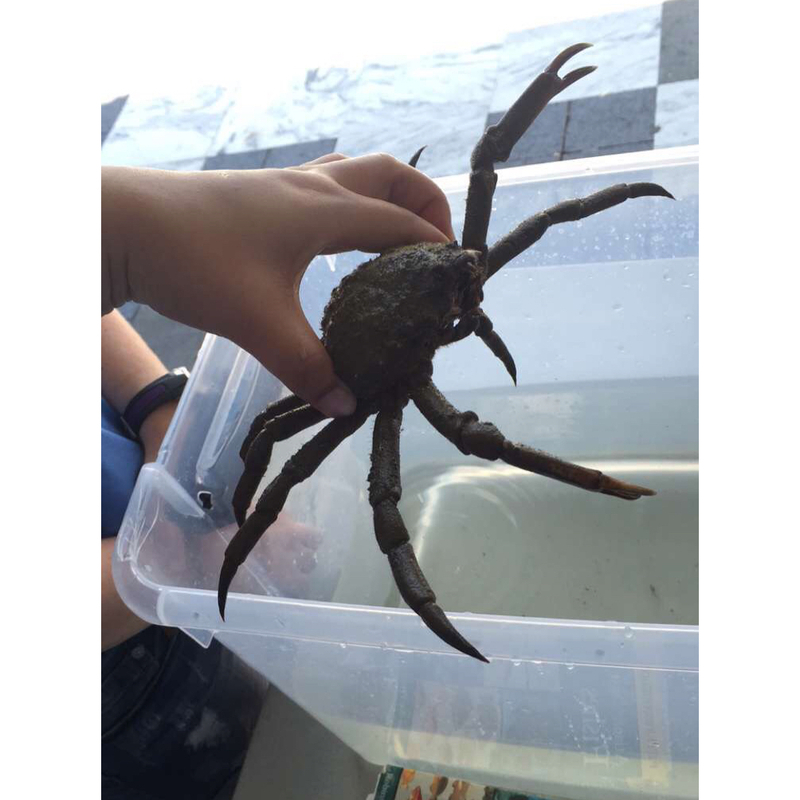 Spider crabs have very long legs that feel hairy and somewhat soft as the kids like to say. They are also kind of brown to orange and their claws (pincers) fade out into white. They use their claws to scoop up anything on the bottom of the ocean and Algae then place it on their backs which is essentially called camouflage. Although the spider crabs are nice they can also be rough when needed and most likely only when needed. I noticed that spider crabs almost always have all their body parts attached while green crabs are always missing a leg or pincer here and there. My conclusion to that is green crabs are way more aggressive and territorial compared to spider crabs.